Homemade Apple Jelly is a wonderful fall treat! Especially when you have a load full of gorgeous apple waiting to be used. What better way to use up your apples than turning them into a two ingredients apple jelly. Jelly VS Jam – What’s the difference? The difference between Jelly and Jam is clear. Both can be prepared with fruits and both jelly and jam involve ingredients cooking so to preserve nature’ s goodness. In a jam, fruits are cooked with sugar in a pot until everything turns into a set jam. In a jelly, fruits or flower blossoms are cooked in water to extract the ingredient flavors. Then everything is strained and the flavored water is cooked with sugar until setting point. That means there are no actual fruit pieces in a jelly as it’ s only an extract. For obvious reasons, fragile flower blossoms are always extracted and turned into a jelly, as I did with my dandelion flower jelly. What apples to use to make Apple Jelly? The best apples to prepare apple jelly are the sour green apples because they contain a lot of natural pectins. Pectin is the substance which exists naturally in certain fruits (mostly in the apple skin), and which helps in preserving jam and jellies. Also, green unripe (but about to ripe) apples are great. Those fall of the tree to early and often while they are turned into an apple jelly because they are more intense in flavor and contain enough sourness. Besides, pick an apple variety that is suitable for jam/jelly making. This will determine the flavor of your apples. Some apple varieties, such as the well known Gala, are just not that suitable for jellies. You want your apple jelly to be super flavorful. 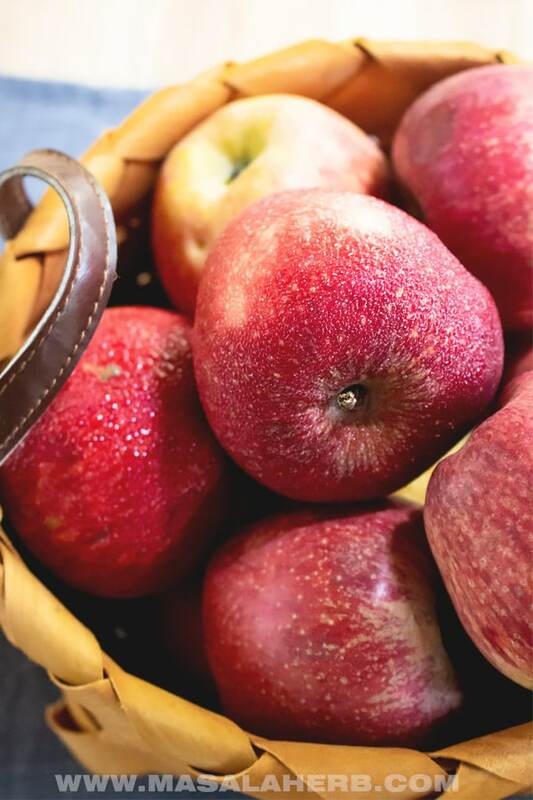 Of course, you are free to use most apple varieties but if you can pick to prepare a superior tasting apple jelly, then pick some of the sour apple varieties. 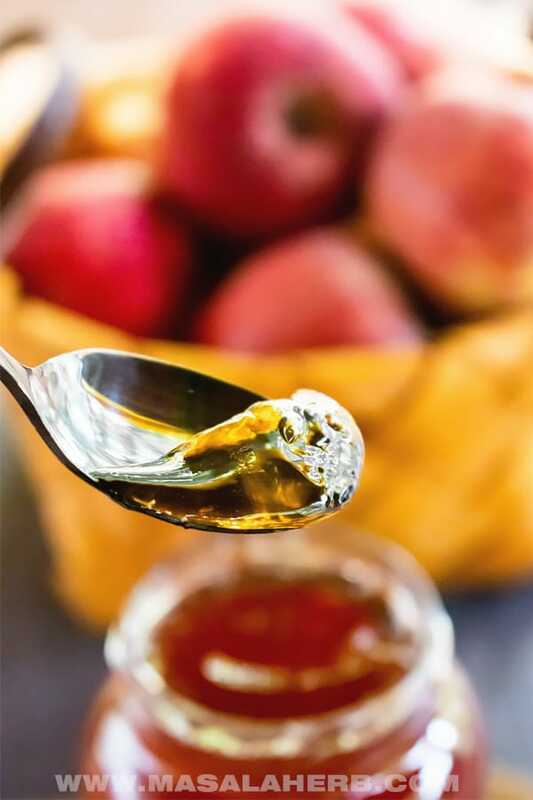 This apple jelly recipe is a 2 ingredient no pectin french preserve recipe. It’s natural and doesn’t include artificial preservatives. The apples are cooked in water to take out all the apple juice. That means the water is infused with the apple flavors. I use the first option and simply cook my apples in a pot with water. Wide French copper jam pans are the most suitable choice to prepare any fruit preserve because the copper cooks the fruits evenly. It’s a game changer if you have been preparing jam and jellies in the past! Right now I use a stainless steel pot too until my mother gives me her pot, which she got from her mother. Then I strain the apple so that I am left with the fruity juice infusion. If you use a steam juicer, you don’ t need to strain. Once I have strained the apples from the apple juice, I heat up the apple juice with sugar of equal amounts. So say, I have 800 milliliters infused apple juice, I will add the same amount of 800 grams regular sugar to the apple juice. The sugar amount is necessary to preserve the jelly. Do not reduce the sugar, the jelly won’t preserve! The apple juice and sugar are brought to a rolling boil and the heat is then reduced a bit. The jelly will cook until the jam/jelly setting point, this usually takes about 30-60 minutes. In my video, you can see how the apple jelly is prepared from scratch. When is my Jelly set? Use a Jam/Jelly Thermometer to check the setting point of the jelly. At the same time make the setting test by dropping some jelly on a spoon or plate, which you kept in the freezer. The jelly will cool down instantly and that way you will know if it is set. If the jelly runs it needs more cooking time. Then repeat the preserve setting test. The Apple Jelly setting temperature is 105 Celsius/220 Fahrenheit. Be careful not to overcook the jelly. This can happen easily too. The jelly will always appear liquid in the pot when it’s cooking hot, so that can be confusing. That’s why you need to do the setting test and check the thermometer. Jelly will turn into a Jelly consistency only when it cools down, otherwise, it will appear liquid when hot (even when the jelly is set). How to store my Apple Jelly? Use sterilized Jam Jars with a clean sterilized lid. You can sterilize the jars and lids by boiling them or by heating them up in the oven. The aim is to kill all germs and that way the jelly will preserve over months! 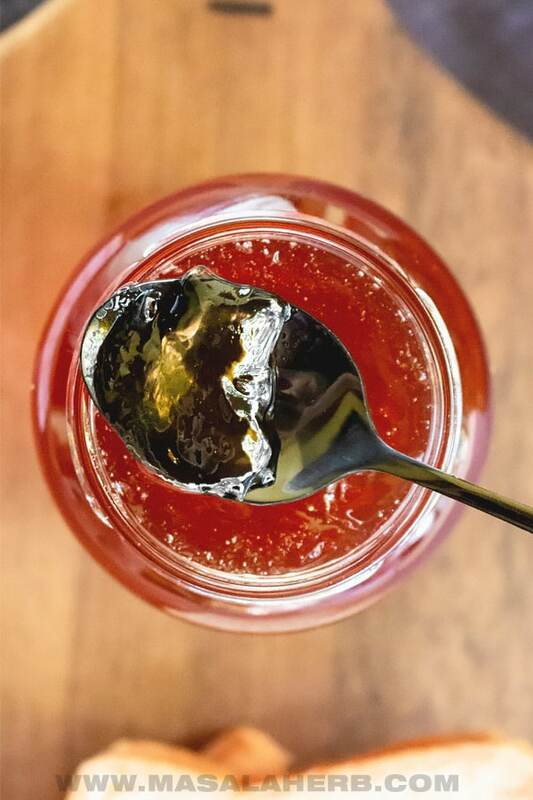 When filling up your jelly jars, use a home canning kit with the tongs to take out the hot sterilized jars and to pour the jelly in the jars with a canning funnel. These tools come super handy! Fill up the jars to the rim with the hot jelly. There shouldn’ t be any space left for jelly. This is to airlock it when closing the jar and it will avoid germs and mold. Add a few drops of rum or any other spirit into the jar lids to kill the remaining germs. Close the jar with the lid properly. Turn the jar quickly upside down. This will create a vacuum and that way the jelly will preserve over months! After 24 hours you can turn them back and label them with the day you cooked the jelly and the name. Store the Apple Jelly jars in a dry, dark and cool environment for the best result. To prepare apple jelly flavor varieties, you can add some of the following flavors to the sugar cooking process. I love apple jelly spread over my breakfast roll. With a cup of black coffee, that’ s all that I need to start my morning energized. Natural Apple Jelly Recipe without pectin and no artificial preservatives. 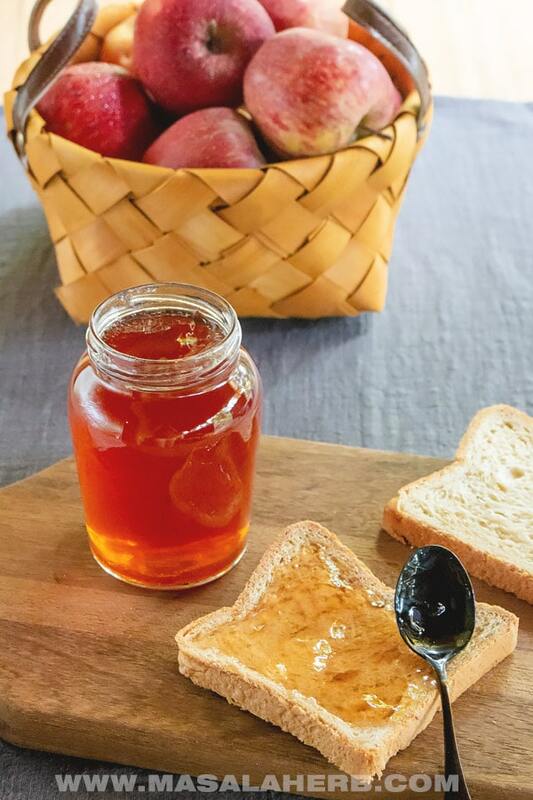 Preserve your apples in this easy apple jelly recipe. For all the details in the post for how to make apple jelly. Wash apples and cut them roughly into chunks. Pour lemon juice over the apple chunks so that they don't turn brown. Add apples into the pot and pour all the water over the apples. Bring to a boil, cover and cook apples until soft for about 30 minutes. Remove from heat and strain the apples with a cheesecloth and collect the apple juice. Don' t press the apples too much because that can cloud the apple juice. We want the jelly to look clear. Bring the apple juice back to the heat with the sugar (please see my notes below for amount). It should start to cook, bring to a rolling boil and then decrease the heat a bit but make sure it still cooks. Cook down the jelly until you have reached setting temperature with the thermometer. Also, check if the jelly has set by adding a drop of hot jelly on an ice cold spoon or plate which you kept previously in the freezer. Read my tips in the post further up! Once the jelly is set get your sterilized clean jam jars and fill the jars until the rim with the jelly substance. Add some alcohol into the lid to kill the remaining germs. Close the jar tight and turn it quickly upside down. This will create a vacuum and it will help the jelly remain good for a longer period of time. After 24 hours, turn the jars back to normal and stick a label on them so that you know when you made them and what it is. Use as much sugar as you have liquid after you have strained the apples and were left with the apple juice. That means for example if you have 800-milliliter apple juice after cooking, use and add 800 grams sugar to the apple juice. It has to be an equal amount, do not cut on the sugar or the jam won't set and it will turn bad within weeks. The sugar preserves the jelly! Very important. 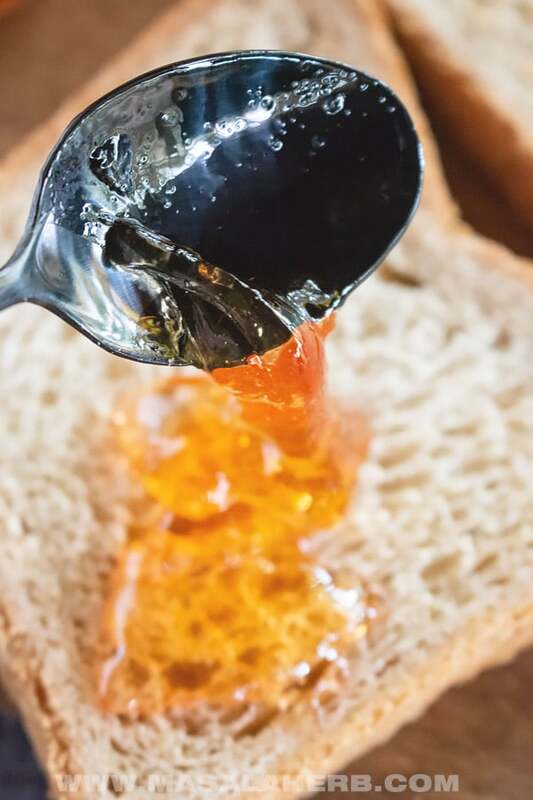 People usually just use 1 teaspoon of jelly on a toasted bread, that is how French are never overweight. Moderation is the key. Dear Reader, have you made this apple jelly? It’s definitely apple season and apple jelly looks like the perfect way to extend this delicious fruit into winter. 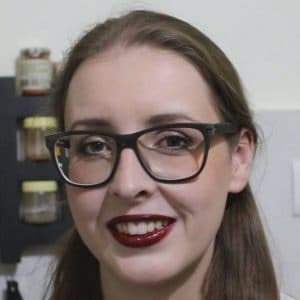 Hi, this may be interesting you: Easy Apple Jelly Recipe!